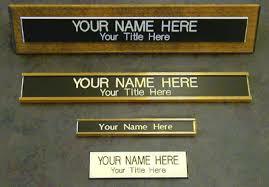 We are located in Mumbai (Maharashtra, India) and involved in offering reliable Name Plate Printing Service. We are supported by advanced printing machines and high quality printing inks for the clear prints on the cards. We are capable of completing the bulk printing orders even within the promised time frame. In addition to this, customers can make the changes as per their specific requirements. Our prints are clear and do not smudge, fade away, or penetrate the substrate. So, contact us today.